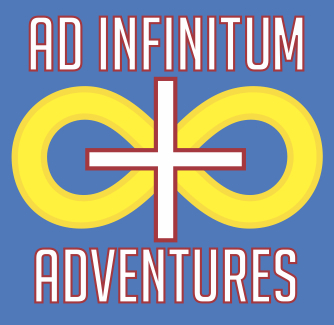 Ad Infinitum Adventures is my own publishing imprint. Ad Infinitum publishes products for the ICONS Superpowered Roleplaying game I designed, previously published by Adamant Entertainment. You can find ICONS products from Ad Infinitum and a variety of third-party publishers on DriveThruRPG.com and RPGNow.com. You can also find Ad Infinitum on Google+ and Facebook. If you’re interested in proposing an ICONS product, email me at stevekenson@gmail.com with an outline of your idea. I’m primarily interested in supporting ICONS with interesting adventures and adversaries, but I’m open to ideas! ICONS is published under the Open Game License (OGL) and, like Adamant Entertainment did before, Ad Infinitum Adventures offers a free compatibility license for third-parties to publish ICONS-compatible products. All that is required is for you to follow the terms of the OGL, and the guidelines on using the ICONS Compatibility Logo. I ask that you email me at stevekenson@gmail.com about your publishing plans, just so I have a sense of what different publishers are doing, and that you provide me with a copy of your product when it is published (so I can maintain a complete library of licensed ICONS-compatible products for reference). You can download the complete licensing packet (license .pdf and compatibility logos in .jpg, .pdf, and .png formats) from the link below. If you have further questions, drop me an email and let me know!